Love comfort food? 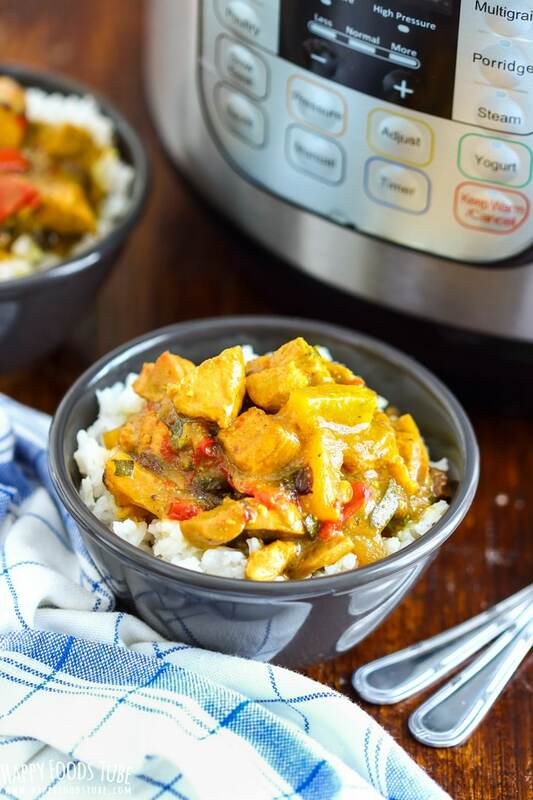 Try this Instant Pot Chicken Paprikash! Easy-to-pull-apart chicken thighs cooked in plenty of creamy sauce are ready in less than 30 minutes. Chicken Paprikash is one of my favorite dinners. My mom and grandmother have been making this dish for years and we all love it! This Instant Pot chicken paprikash is my pressure cooker version of their recipe with some minor changes. Guys, if you haven’t tried this easy dish, you gotta do it soon! It will become your family favorite meal! 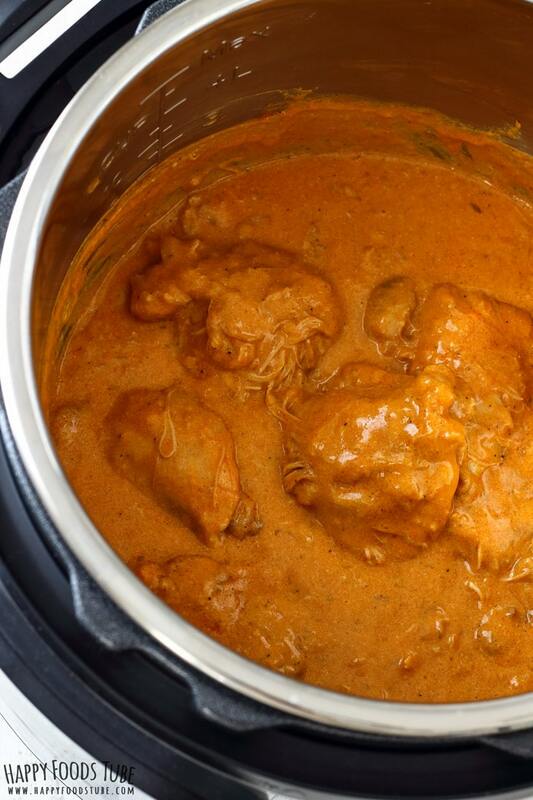 Making Instant Pot chicken paprikash is easy and quick. You can enjoy this delicious dinner in about 30 minutes and that my friends, is pretty cool! Turn on Instant Pot and press the SAUTE function. Pour in olive oil and add diced onion. Sauté for about a minute before adding minced garlic. Now stir this frequently. You don’t want the garlic get burnt. When the onion has translucent color, add in the chicken pieces. Sauté these on both sides. You don’t want to cook them much, all you are after is locking the juices inside the chicken. When this is done, season them with salt, pepper and the most important ingredient – paprika. Without paprika chicken paprikash wouldn’t be paprikash! So be generous! Now what I do is I give everything a good mix with a wooden spoon. I want my chicken pieces coated with the seasoning before I add the Chicken Stock in. After all the ingredients are in the pot, you just lock the lid and set the MANUAL function to 5 minutes. You can do 10 minute natural pressure release or wait completely until the pin drops down itself – you will not overcook the chicken. 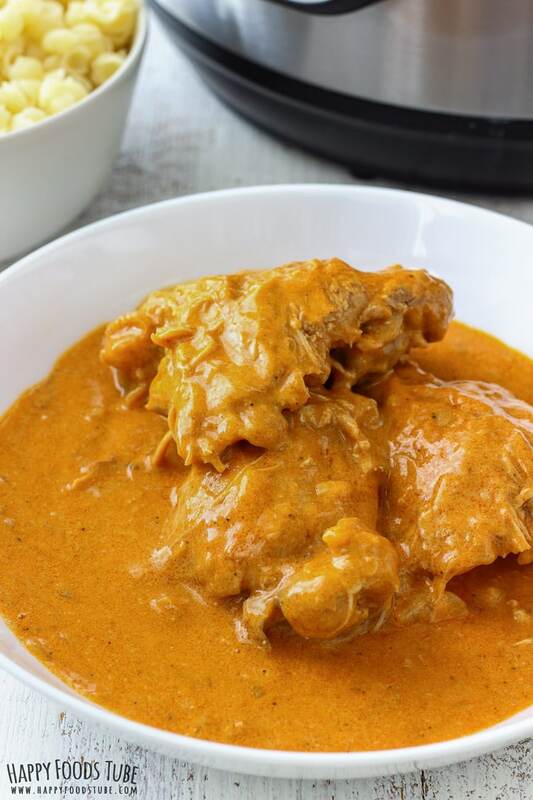 The last stage of this Instant Pot chicken paprikash is simple. Press SAUTE again and pour in whipping cream and give it a stir. To make the sauce extra creamy I added corn starch diluted in water. So bring the sauce to a boil and you can now turn off the pot. It should still be cooking for about 2 minutes which is exactly all you need here. Now the last and most important ingredient is lemon juice. The juice gives the sauce nice flavor and cannot be omitted. Without it, you will have bland sauce, unless you increase the amount of seasoning. However, the lemon juice is as important as the paprika. Chicken stock – vegetable stock can be used as well as chicken broth. Olive oil – If you don’t have olive oil, use butter or vegetable/sunflower oil. 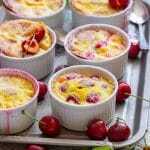 Whipping cream – sour cream is another delicious option. Chicken thighs, bone in – chicken thighs, boneless are fine to use, chicken drumsticks as well and so are chicken breasts. Cooking time could vary slightly. This would depend on the type and size of the pieces as well. 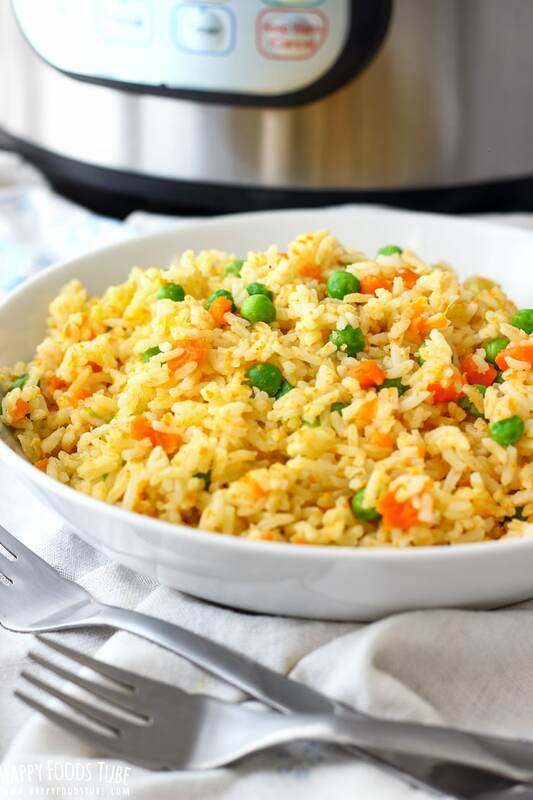 If you are not sure, I suggest increasing the cooking time by 1 minute or letting the pressure drop naturally – which will prolong its cooking time slightly. 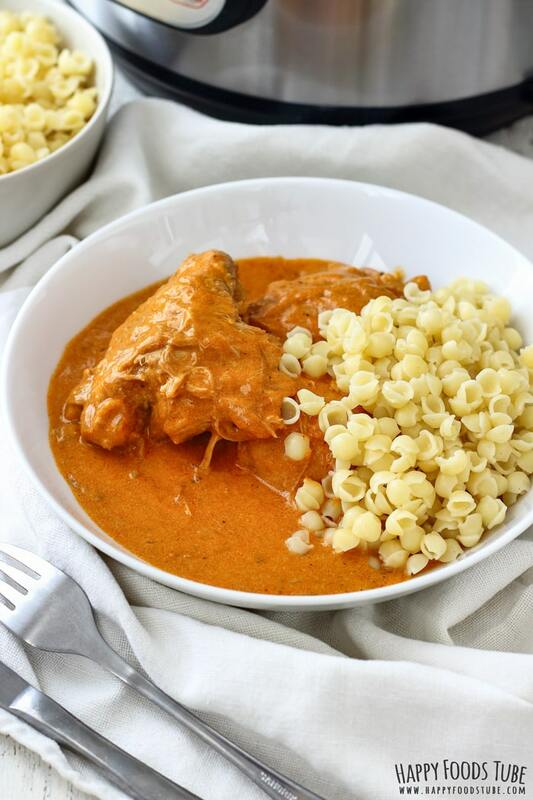 So guys, if you are looking for Easy Instant Pot Recipes, this pressure cooker chicken paprikash is definitely one of them! 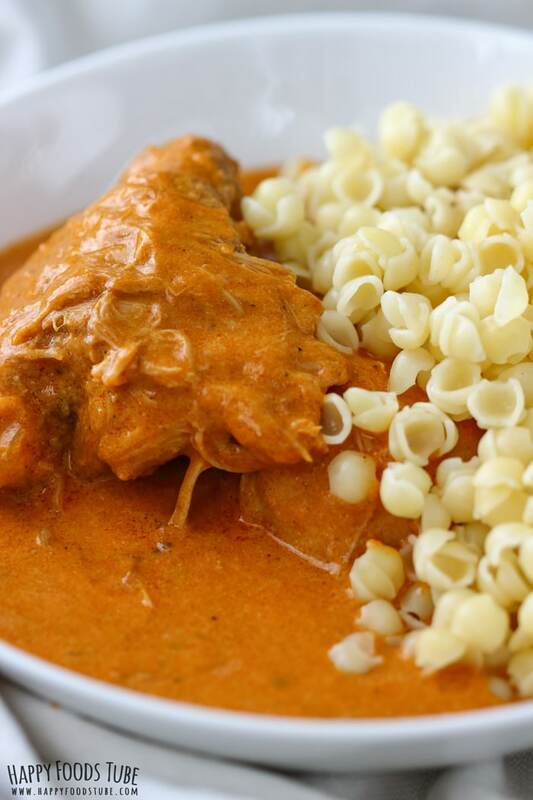 Want to see how to make Instant Pot Chicken Paprikash? Watch the video! Dice the onion and mince garlic. Press “SAUTE” function on your Instant Pot. Pour 3 tablespoons of olive oil in the inner pot. Add the onion and garlic. Sauté this for a few minutes. Stir frequently to avoid burning the garlic. In about 3 minutes, add the chicken thighs. Cook them on both sides for a few minutes. All you need is to lock the juices inside. Add salt, pepper and sweet paprika. Stir everything around with a wooden spoon so the thighs are coated with the seasoning. Throw in bay leaf and pour in the chicken stock. Close and lock the lid, set the steam release to “SEALING” position. Press “MANUAL” and adjust the time to 5 minutes. After the cycle is finished, wait for 10 minutes before releasing the pressure manually. Press "SAUTE" and pour in heavy cream, sour cream and corn starch diluted in little water. At last, squeeze in the juice of ½ lemon and taste. Add more seasoning or lemon juice, if needed. 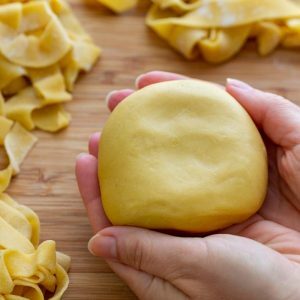 Serve with dumplings, or pasta of your choice. 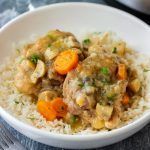 Chicken thighs are the best to use here, but you can also use drumsticks or chicken breasts (bear in mind the cooking time might vary slightly). 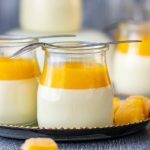 Cream can be substituted with sour cream (to achieve smooth and creamy sauce, take about a cup of the juice from chicken and mix with sour cream before you pour this mixture into the inner pot). If you don’t have chicken stock, use vegetable stock or chicken broth instead. If you prefer thicker sauce, add more corn starch (always dilute this in a little water first). This recipe was made in a 6 quart/6 liter Instant Pot. The cooking time does not include time needed for the pot coming to the pressure and also time needed to release the pressure. Count with extra 15 minutes. 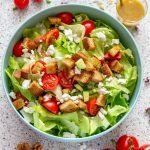 I LOVE making chicken in my Instant Pot! 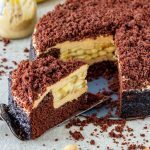 Will definitely have to try this recipe next! That sweet paprika, sour cream and heavy cream combo is making my mouth water! Yes, you can. I’d say you would need to saute the chicken into 2 batches though. The cooking time should be the same if the pot is not overfilled. However, note that it may take longer for the pot to come to the pressure. Yay! I was waiting for some Instant Pot Indian recipes to come my way:) Thanks for sharing your recipes! 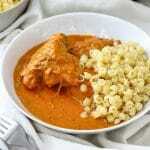 I believe Chicken paprikash is a Hungarian dish :) but I highly recommend you give it a go! This looks delicious. So full of flavor, and that sauce looks amazing. Maybe Santa will bring me an instant pot. I love my Instant Pot. I loved it so much, I even bought one for my mom. My family would love this dish! Ok, it’s official. I NEED a instant pot!! This looks soooo comforting and delicious! Yes, you do! :) :) Thank you! Well it does look good, but however as I’m a Full blooded Hungarian we do not use chicken stock but chopped up,tomatoes and green peppers. Heavy cream and sour cream is not added to the dish, sour cream is used as a garnish afterwards. Normally you chop up 2-3 onions sauté it, add garlic, then chicken thighs, I prefer the bone in ones as it makes a better sauce. Add Hungarian paprika, different taste then sweet paprika, salt and pepper. Chop up 4-5 large tomatoes and sauté it for a while and add chopped green peppers. Add water to cover all, manual for 8 minutes. NPR for 10 minutes, then open and add cornstarch or flour to thicken. The onions, bones and tomatoes make the sauce. Pour over noodles and garnish with sour cream. This is how I was taught by my grandmother and mother and all of us were born in Hungary. Hi Julie! 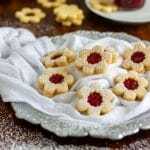 I am happy to hear you like this even though is different from the original Hungarian recipe. I would love to use Hungarian paprika and when I go to Hungary I always buy some. However, this paprika is not available in other countries so I can’t use it as I don’t have it on hand. :) I also don’t state that this is traditional Hungarian paprikash. I appreciate you found time to write how you were taught to make it. Not sure what State you r in but Publix carries Hungarian Paprika both sweet and hot. It is sold in a red can and it is from Szeged. You can buy it off Amazon as well. The cans are around $4.99 each. The taste will be totally different. They original recipe was “okay”. I added the vegetables as you suggested to the leftovers, and added some additional Hungarian paprika, hot variety, as I had already used Hungarian Sweet Paprika (both are readily available in the states btw, at literally any grocery store). The results were much improved, thank you, so I jotted down the ingredients for future reference. Why don’t you just write up your recipe and place it on another site instead of complaining about someone else’s recipe? Not sure why but the sauce turned out way lighter than in the picture and did not thicken. I followed the recipe exactly so not sure where I went wrong! Christine, this can only be down to the corn starch. As with many products, each corn starch can be of a different quality. I suggest adding more next time you make it. Also if not sure how much more to add, then do it in 2 stages. Add half of the cornstarch, mix and cook for about 2 minutes. If you feel like the consistency is not to your liking, add the rest and again cook for a minute or two. Hope this helps. Thanks for this wonderful recipe. Was a big hit in my house last night! I used chicken breasts because it’s what I had on hand. So Good!! 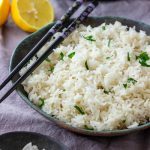 Served over cauliflower rice! I am so happy to hear that, Sandra! Thank you for your feedback! I just found your site and, boy, am I glad I did! Made this for my friend’s Eastern Bloc Party potluck (get it?!) tonight. Soooo easy! I used boneless, skinless thighs (2lbs). The only thing I changed was to add 1 more TBS of sour cream (which, by the way, you don’t specifically mention in the written directions…but I watched the extremely helpful video and it showed when to add it). Adding the lemon juice was key! Don’t skip this! I like things verrrrry mild, but some of you may want to spice it up a bit w/ more black pepper. Anyway, my roommate and I give it two thumbs up (haven’t taken it to the party yet) and she said “Let’s definitely make this again!” Thank you! Hi Gwen. I am so happy to hear that you and your roommate loved this dish! :) And you are absolutely right about the lemon juice – it completes the dish and gives it the amazing flavor! I have already fixed the mistake in the recipe card – thanks for pointing that out and thanks so much for the feedback! Hello, could you tell me if you cooked the chicken at high or low pressure for 5mins? Thanks! Hi Ritika. The chicken is cooked at high pressure. Hello, I just made this recipe, well, partially. Chicken is cooked and waiting for husband to come home before I add the cream and sour cream. One tweak is that I floured the chicken, seasoning the flour with salt and pepper, and paprika and smoked paprika, hoping it wouldn’t need the corn starch. Sauce tastes great. If i need cornstarch, it will only be a small bit. Thanks for the inspiration! 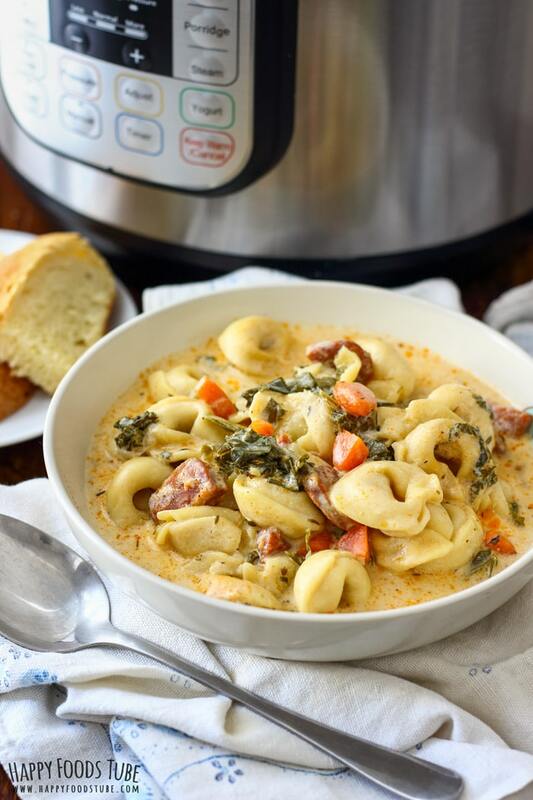 Just made this and OMG it is flat out the best dish I’ve every made in my instant pot, and I use it a good 3 to 4 nights a week!!!! I’m addicted!! This recipe should win Nobel prizes! If we only gave this dish to North Korea all our problems would simply be forgotten as that delicious, creamy, decadent sauce washes down their throat. . . Well done girl!! Well done indeed!! Thanks for sharing!!!! :) You are welcome, Rick! Thanks for the comment. I am so happy to hear this, Tiffany! Mushrooms are a great addition! My mom used to make this with wild mushrooms when they were in season. 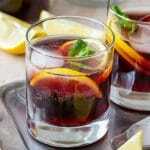 Thanks for finding time to comment and rate this recipe. Can you use potato starch instead of cornstarch? I’ve heard it works better if you plan to save cream based dishes in the refrigerator. I am afraid I won’t be able to help you here as I have never tried it myself. If you do, please let me know! Ok so I never knew that chicken paprikash was so yummy. It’s made with sour cream of all things! 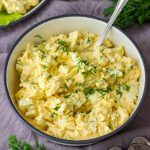 This is the easiest comfort food that my kids will actually eat. 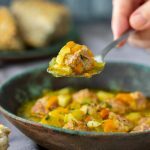 This is my favorite instapot recipe of all time- I make it at least 2x month! My dads parents are from Hungary and my grandma made this all the time for us! It passed the test with my dad and he loves it as does my husband, 17 year old, 10 year old and picky 7 year old. Great job!! Thank you!! Your comment made my day, Anne! 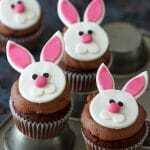 :) I am so happy that you love this recipe and make it often. Thanks so much for finding time to write the feedback. Thank you for your comment and rating Maria :) I hope you find some other recipes here that you like. I’m still getting to know my instant pot and have had quite a few failures. Part of it is cooking at such a high elevation. Denver is 5,280. But this chicken paprikash came out perfectly. I served it over mini-penne. My 15-year-old son loved it and he’s picky. My hubby loved it. I recommend using the best quality paprika you can find. I used smoked dulce (sweet) paprika from Spain. This one is going in the rotation. Hi Erin, thanks so much for finding time to leave the feedback! 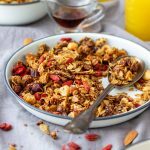 I hope you find here more instant pot recipes that you and your family will enjoy! This was excellent. I removed the chicken pieces prior to adding the sour cream, heavy cream and corn starch, used an emersion blender to ensure smooth sauce then added chicken back with cauliflower florets. Delicious sauce!